Franklin Electric Key Dealers enjoy special services that provide priority service and financial assistance, such as Hotline Priority Access, Scholarship Aid and Saxon Fleet Vehicle Savings. As a Franklin Electric Key Dealer, you gain priority access to our Technical Service Hotline that moves you to the “front of the line” when you need technical support the most. 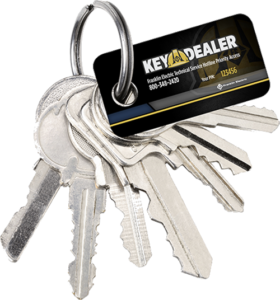 Just call 800-348-2420, enter your 6-digit Key Dealer PIN, and talk to our experts faster than ever before. Not sure what your Hotline Priority Access number is? Find it here. Key Dealers qualify to leverage the skills of Saxon Fleet Services to work together – in partnership – to assist in the development of securing the right vehicle(s) with the right equipment to meet your business needs. Use the Franklin Electric Company Vehicle Program and take advantage of remarkably low prices! Franklin Electric Key Dealers enjoy special services that provide priority service and financial assistance, such as Hotline Priority Access, which moves you to the front of the Technical Service Hotline queue. Our Scholarship Aid program provides financial assistance to defray the cost of education to employees or a relation of an employee of a Franklin Electric Key Dealer. And Saxon Fleet Vehicle Savings assists you in securing the right vehicle(s) with the right equipment to meet your business needs.